OPPOSITION Socialist Party, Zambia is not going to join the UPND led Opposition Alliance, Dr Fred M’membe has said. And Dr M’membe said the leftist revolutionary party would, however, work with the UPND and other opposition parties to remove the cruel, tyrannical and despotic impediments placed by the PF and its government on the holding of free, fair and peaceful elections in Zambia. 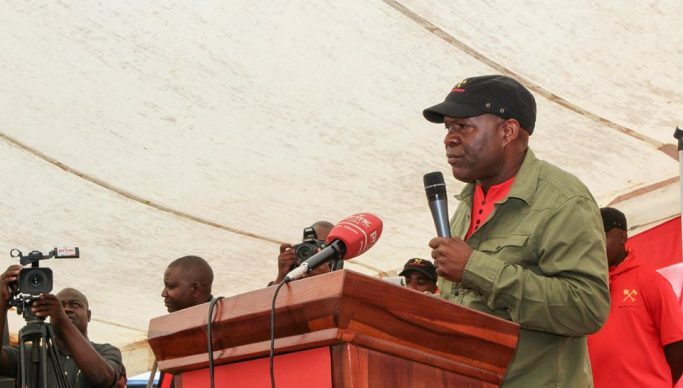 Dr M’membe who is the Socialist Party presidential candidate for 2021 elections, in a statement issued on behalf of the Politburo disclosed that the party had also not been invited to join the alliance. “And we have not been invited to do so – probably because our colleagues in the UPND and other opposition political parties know our principled position on this score,” he stated. “While the UPND and its allies, together with the Patriotic Front, are seeking to entrench capitalism in Zambia, our objective is to build a totally different type of society anchored on justice, equity and peace and on the values of honesty, humility and solidarity – a socialist Zambia”. Dr M’membe said for all their differences, quarrels or squabbles and mock engagements, there’s more in common between the UPND led Opposition Alliance and the Patriotic Front. He said both the alliance members and the PF were pro-capitalist political parties compared to the Socialist Party, whose primary objective was to build a just, humane society. “For them winning elections is everything; for us it can never be political alliances just for sake of winning elections. We can only join political alliances for socialism and the struggle for a more progressive, just, fair and humane world,” he stated. Dr M’membe said, “we will, however, respectfully cooperate, work together with the UPND and other opposition political parties to remove the cruel, tyrannical and despotic impediments placed by the PF and its government on the holding of free, fair and peaceful elections in Zambia”.